To prepare for the 2017 Northeast region Summer Retreat, the retreat registration link is launched. 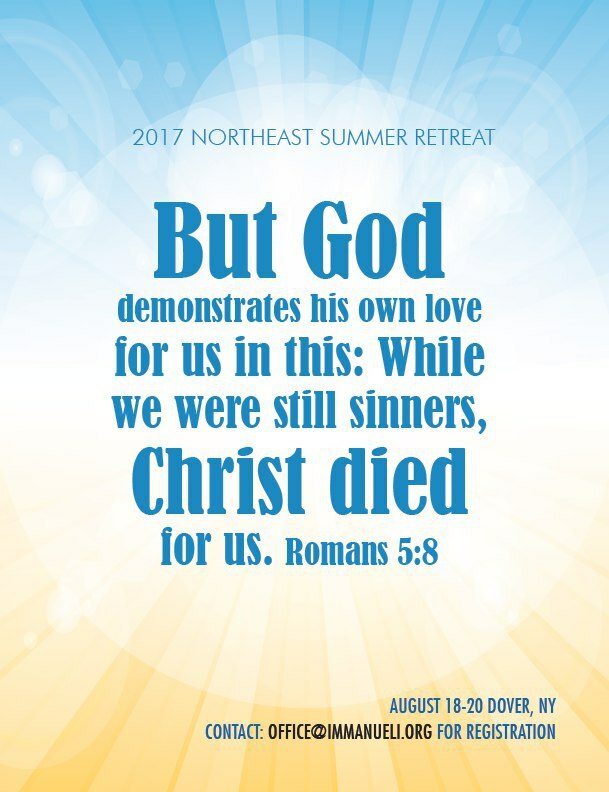 Themed “But God demonstrates his own love for us in this: While we were still sinners, Christ died for us.”(Romans 5:8), the Northeast summer retreat will gather churches from New York, Boston, New Haven, Burlington and Montreal at Dover, New York on August 18-20th. May God pour down abundant grace during the 2017 Northeast Summer retreat that many students can be raised to be the kingdom workers, and members know deeper the vision and callings in theirs lives.